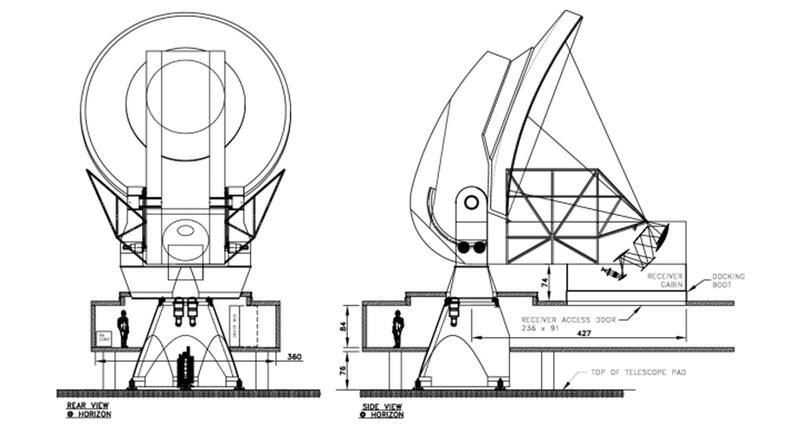 Since this thing is so big, forgive me if I start with a few conceptual views. Here's an early conceptual design from 2003 (JM). 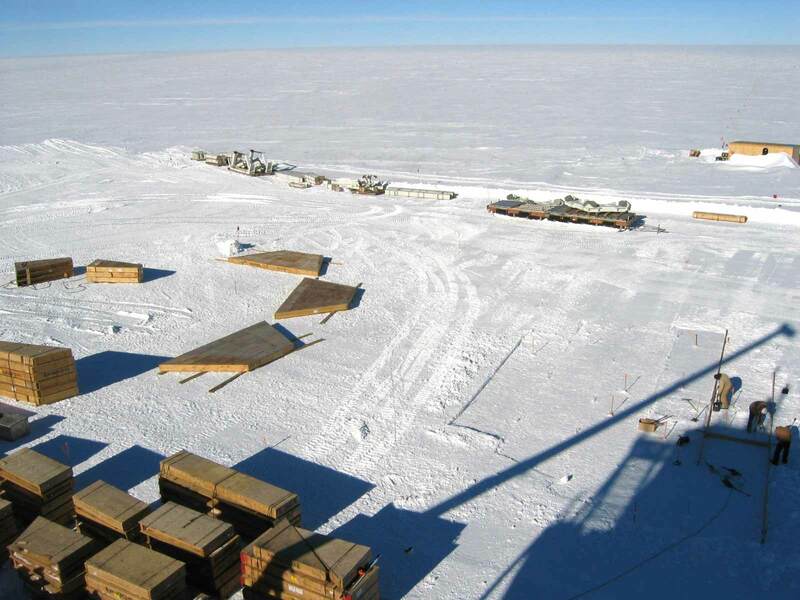 By then, the preliminary planning had already been underway for several years--here's a 1998 paper by Tony Stark et al; it documents a 1997 planning meeting on the project. Here is a 2006 conceptual design of the telescope itself; this is a bit closer to the way it really turned out (VP). 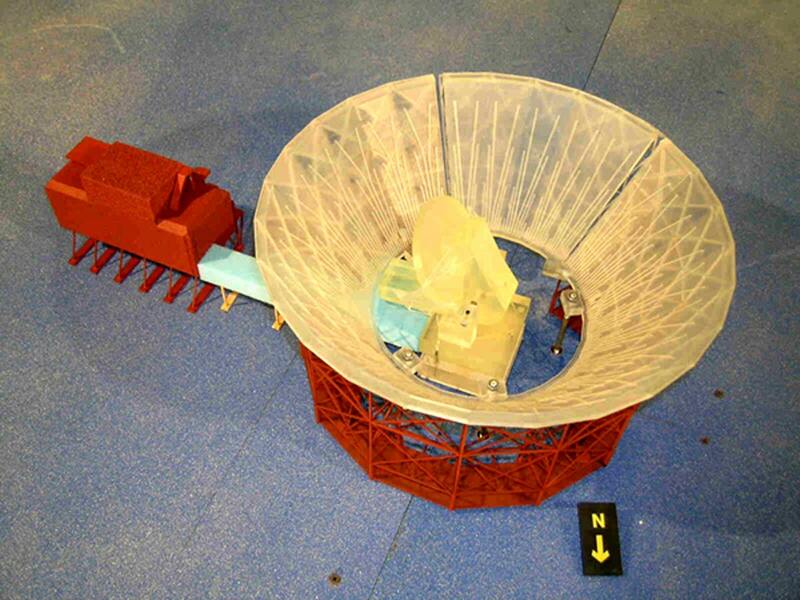 Here's another conceptual view, this one of the model. 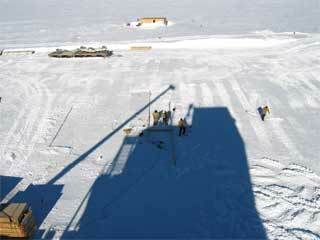 It shows the large ground shield which was scheduled for installation in 2007-08--it eventually was cancelled. 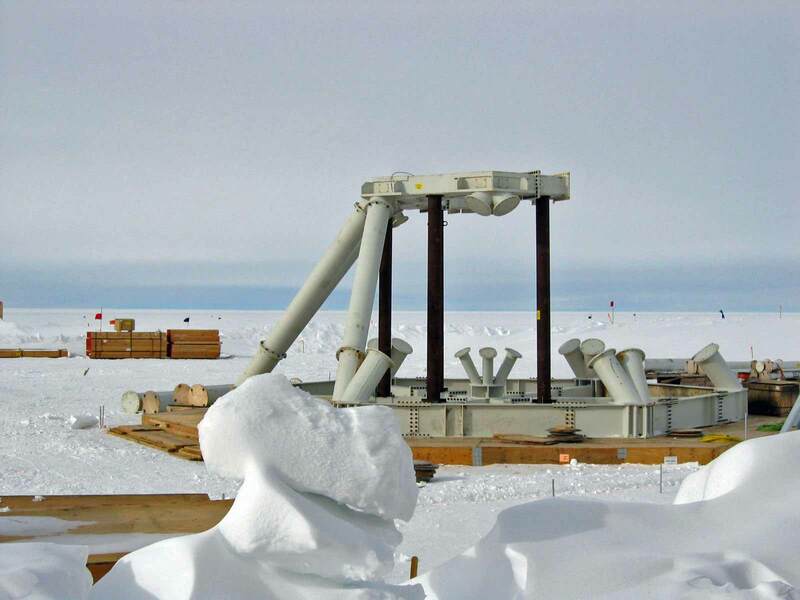 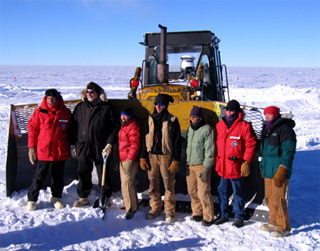 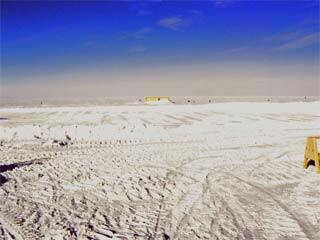 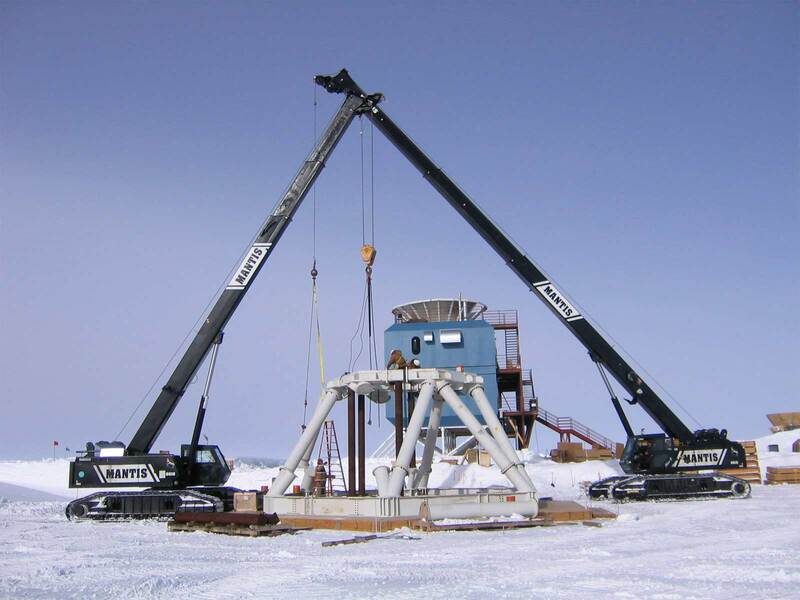 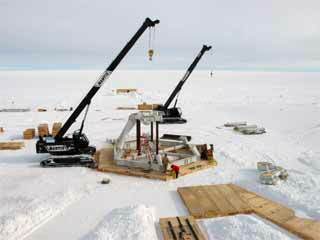 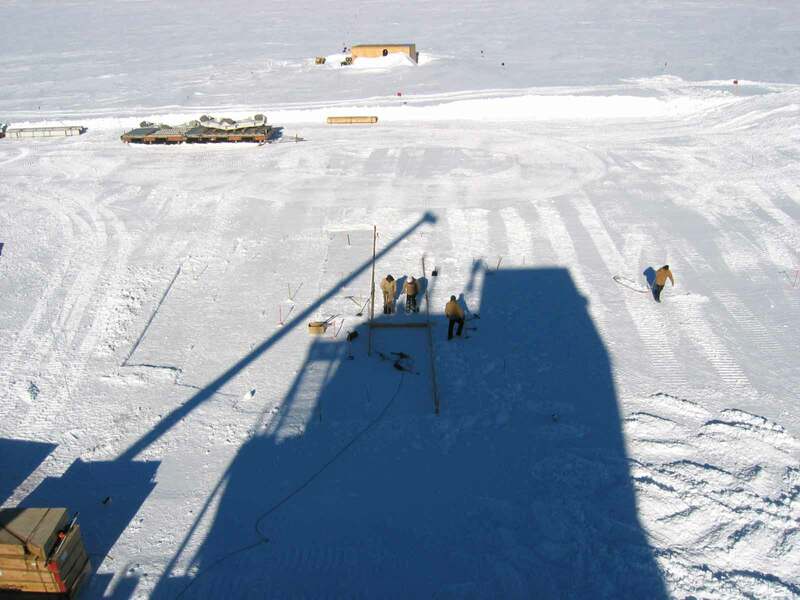 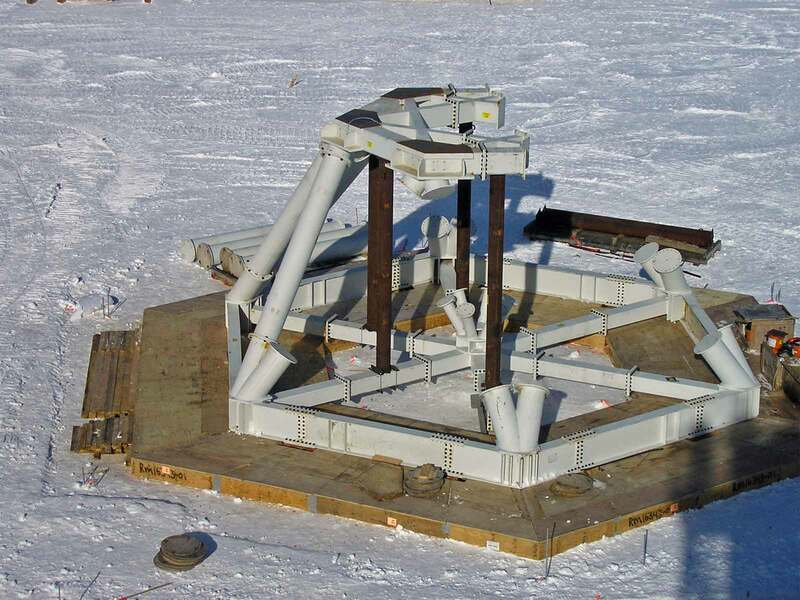 All of the other submillimeter telescopes at Pole have had ground shields to block off interference from near the horizon (SPT). 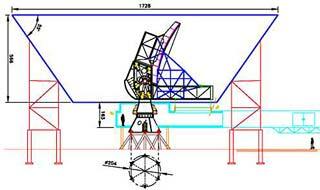 And like most of them, the SPT will have a section (this one 60°) that can open to allow short observations near the horizon, including calibration (looking at planets) and test observations of a tower-mounted target (SPT). 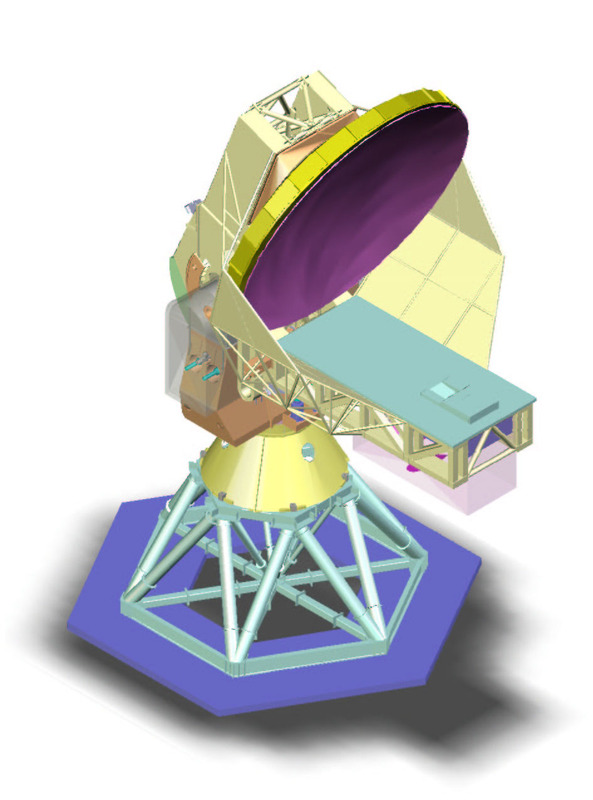 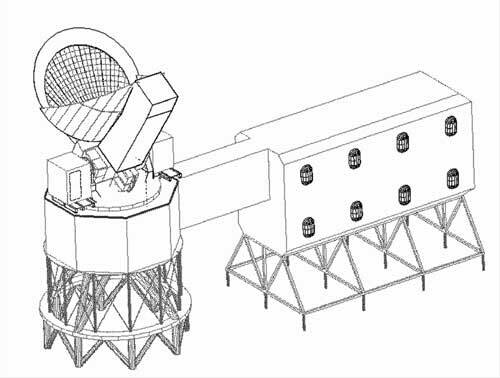 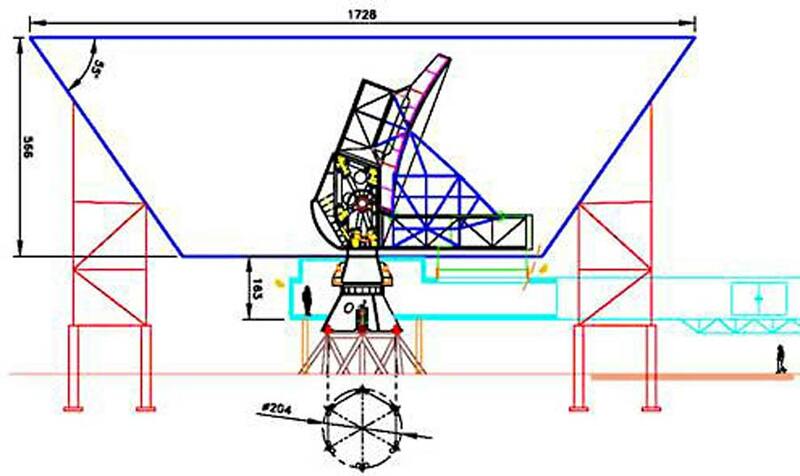 The above drawing shows the telescope tilted down in the docking position, where the receiver cabin can be accessed through the roof of the control room (AAS). 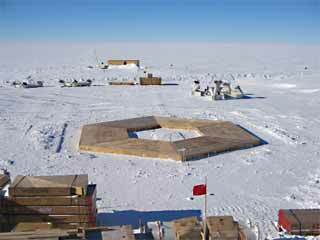 Here us what the hole looked like a year later when I took this photo from DSL a couple of days before leaving Pole in November 2005. 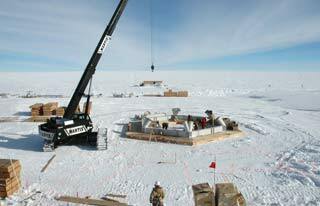 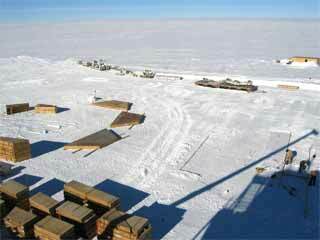 In the background is the VLF shack, which had been moved west previously to make room for the big dig. And a few days after I left, here is the completed excavation being laid out (C). 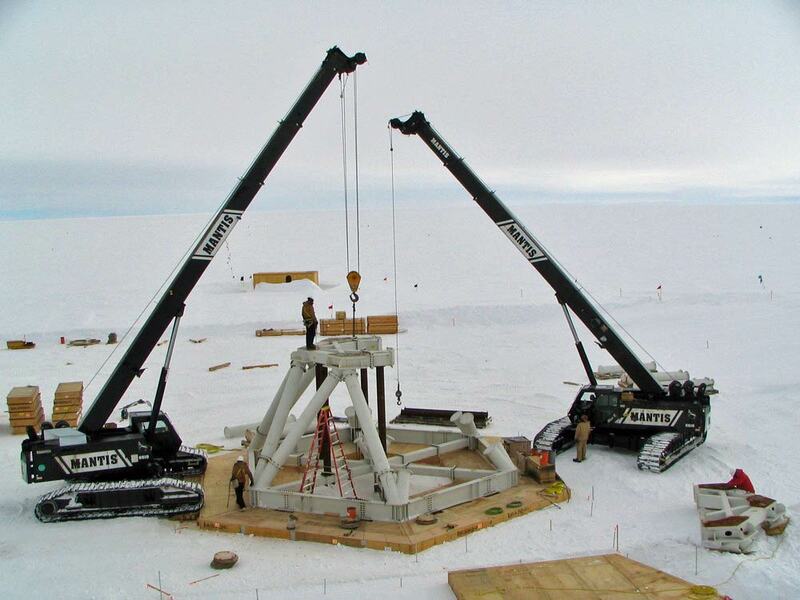 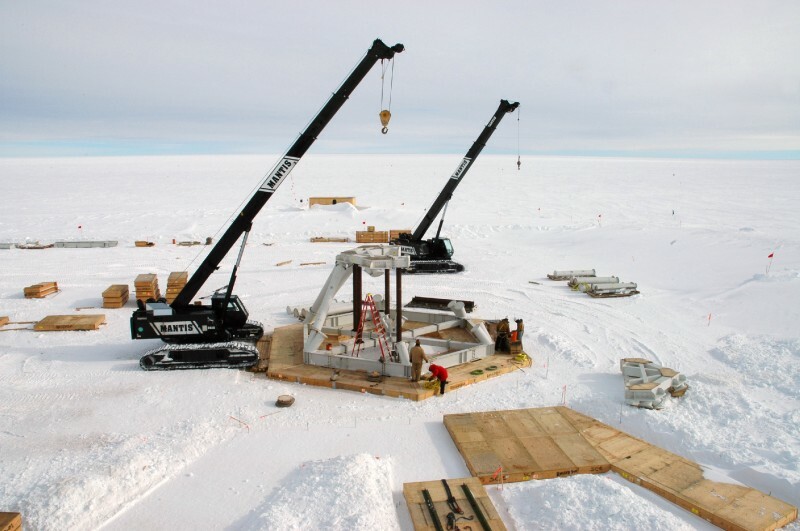 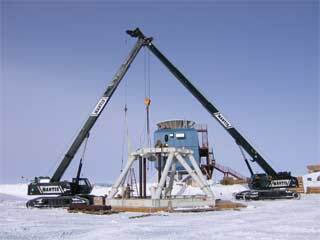 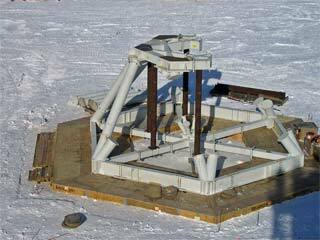 ...into a hexagon to support the main telescope foundation (EB). ....and the structure goes up (CC). 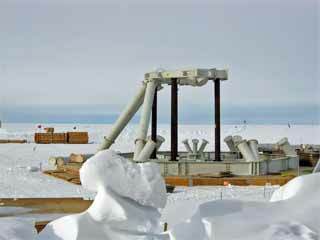 A view from another angle (C). 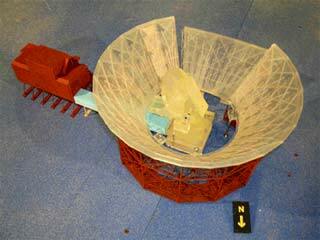 ...like this, looking the other way (C).